Here are some postal items from the ship’s post office. 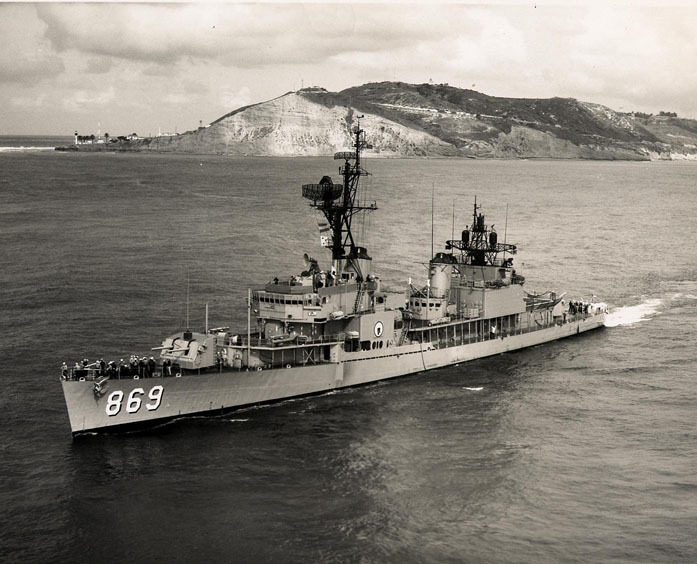 The Isbell joined the reserve fleet upon completion of her 1971-1972 Westpac cruise, joining DESRON 27 out of Long Beach, California. Here are some photos of reserve fleet exercises, as well as stops in San Francisco and Mazatlan, Mexico. 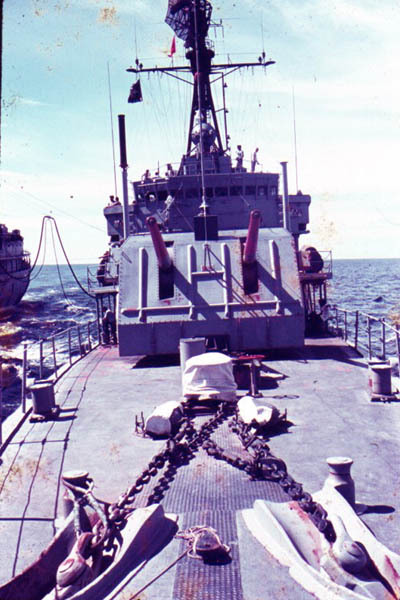 As a part of Fleet Week, the USS Arnold J. Isbell visited Portland, Oregon, for the annual Rose Festival in both 1972 and 1972. Here are a few photos from those visits. 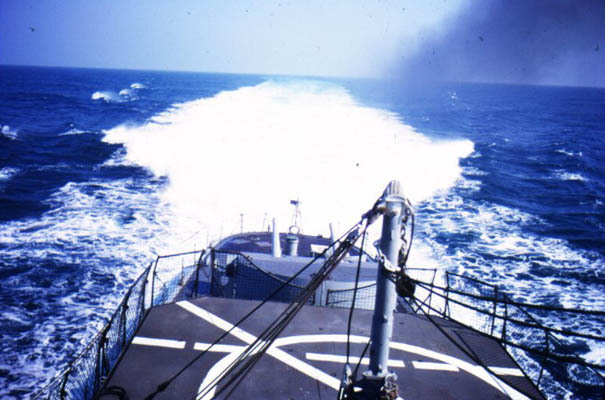 10 Oct – depart Subic Bay for PIRAZ Station, South China Sea. 24 Feb – cross Equator at 00 degrees-145 East. 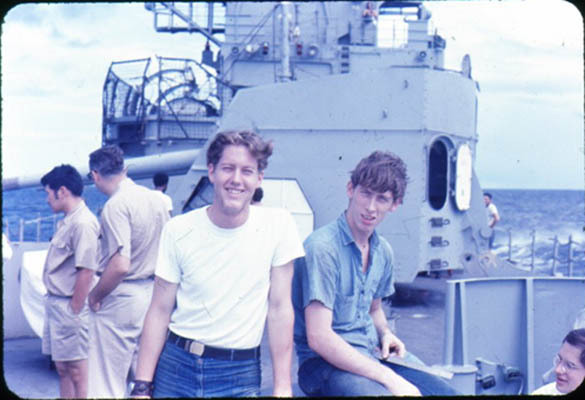 A collection of photos from the Isbell’s 1971-72 WestPac cruise. It includes two Shellback initiations, plus stopovers at Manus Island and Devonport, Tasmania. 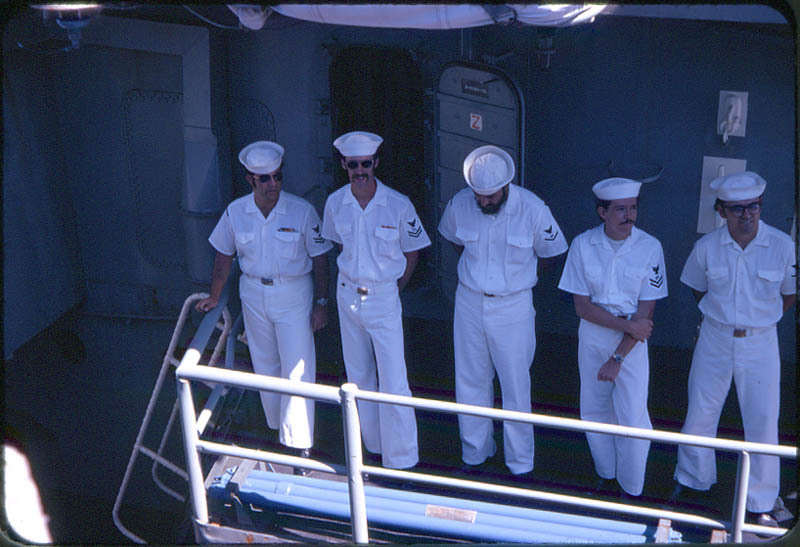 These images were supplied by Don Scott at subpride@aol.com. I’m working up now one with ship welcomes and photos on same disc – have hundreds already done – will take a while. A-Gang Andy (EN3 Harvey Anderson) stood watches on the throttles in #2 engine room. Here he’s pictured with Dan Buckley. 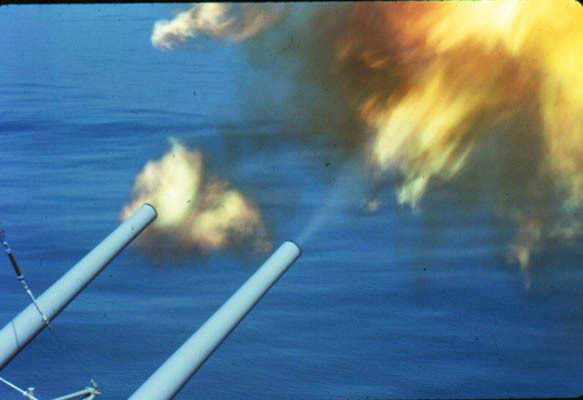 He provided these photos from the 1971-72 WestPac cruise. The Isbell hauling at 27 knots. Showing the wear and tear of an extended cruise. 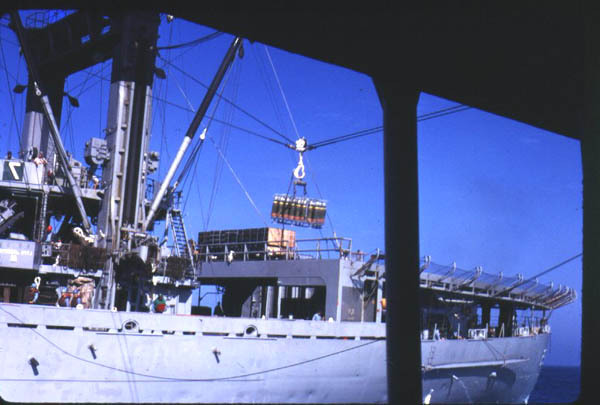 Rearming during an unrep (underway replenishment).